To maintain good reproductive and sexual health, women should visit a gynecologist at least once per year; regular breast exams, pelvic exams, and woman-to-woman advice are all essential steps for achieving optimum sexual wellness. 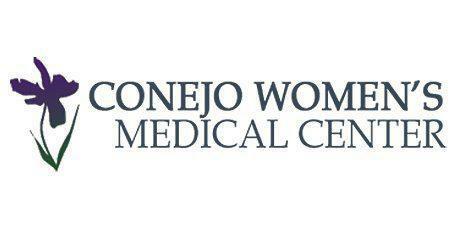 Dr. Karie McMurray at Conejo Women’s Medical Center in Westlake Village, Thousand Oaks, California, located in the Conejo Valley area, offers the best in gynecologic care including exams and treatment options. What’s involved in a gynecological exam? These exams are routine procedures and are quick and relatively painless. During a gynecological exam, Dr. McMurray usually asks her patients about their sexual history, medical history, and menstrual cycle. She also gives them a physical examination to rule out any troubling changes. Periodic gynecological exams are crucial to maintaining sexual and reproductive health and shouldn’t be skipped. These visits are perfect for addressing any questions you may have, including those about irregular periods, vaginal discharge, STIs, and pregnancy tests. During a gynecological exam, Dr. McMurray will run a number of tests. She almost always performs breast exams during a standard gynecological appointment (patients over 35 will most likely get a mammogram screening, too). During this test, she’ll check for any lumps or irregularities in your breast tissue. She may even show you how to self-check for lumps and other abnormalities. A typical gynecological exam also involves a pelvic exam. In that case, Dr. McMurray will inspect your external and internal genitalia. To make sure her patients are never uncomfortable or surprised, Dr. McMurray tells them exactly what she’s doing at each and every step. Dr. McMurray, and Conejo Women’s Medical Center, are proud to offer gynecologic surgery options. They’re some of the first surgeons in the area to use the da Vinci® Surgical System. The da Vinci system is a sophisticated robotic platform that offers a state-of-the-art, minimally invasive option for complex hysterectomies and other gynecologic procedures.